Andrei Tarkovsky, was the most important Russian director since Eistenstein, whose surreal films marked a turning point in the history of world cinematography. The archive, pertaining to the years 1967-1986, sheds new light on the film-making techniques, private life and artistic struggle of the film director who famously fought to gain acceptance for his work in the USSR. The collection of several thousand working manuscripts, personal photographs, recordings and private documents – including a draft letter addressed to President Leonid Brezhnev arguing Tarkovsky’s case for working in the Soviet Union was offered in Sotheby’s sale of Music, Continental and Russian Books and Manuscripts. Russia doesn’t deserve Tarkovsky’s archives. If you open his diary you discover how much the government was against his work and his person. Actually he was forced to leave Russia, with his hearth full of fear and sorrow, to be able to make movies, because in Russia he was prevented to work. And he loved so much his homeland. Just when he was ill and near to death the government left his child fly to Paris to see his father last time. I’m sorry, but I believe that to equate “Russia” with Russian government, let alone Soviet governent, is grossly unfair. Since the 1960’s there has been no filmmaker in Russia held in a higher cult status than Tarkovsky. In the 1970’s when his films would get a limited release and would only be shown in a few theatres in Moscow (please note that NONE of Tarkovsky’s films were banned and shelved like what happened to the films of so many other directors) the queues to see those films were legendary. 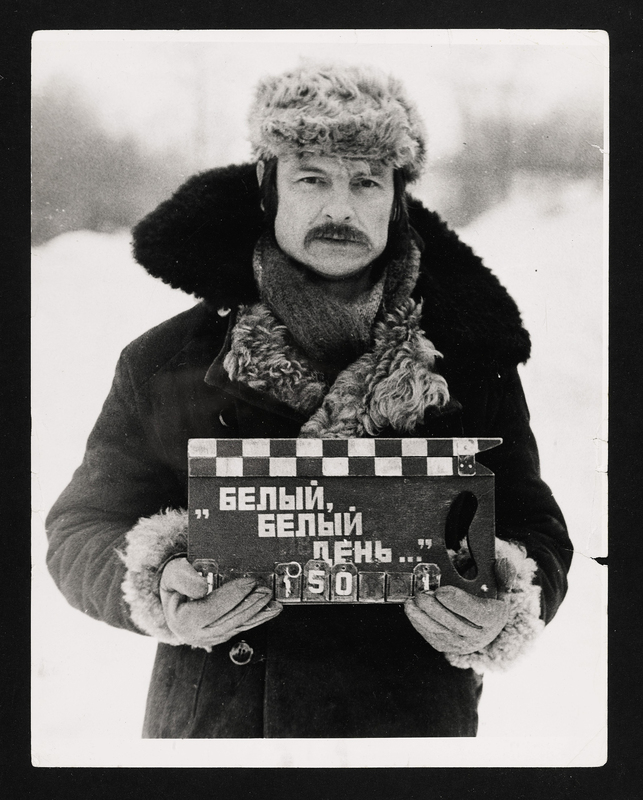 I don’t want to take away the fact that Tarkovsky indeed struggled with Soviet censorship and the stresses of the production of every film affected his health in ways they shouldn’t have, but at the same time let’s not forget that ALL film production in the Soviet Union was state-controlled and state-sponsored. So most of Tarkovsky’s films were paid for by the Soviet government. I always find the application of the model of the lone artist/writer being opressed by the Soviet system very limiting when we talk about film directors. Writers and artists don’t need the same amount of money, manpower, collaborators, and a whole separate industry to create and showcase their output. So the very fact that these films were made in the first place should give you pause before saying that Tarkovsky was all alone struggling against the evil Russians who were preventing him from work. In my opinion, the people who worked alongside him, as well as people within the government system who pushed, passed and sponsored his projects; people for whom Tarkovsky’s departure was and still is a tragedy and people who still dedicate their lives to preserving his legacy in Russia all deserve the return of his archives to Russia. And to say that they don’t is simply heartless. It’s true that govenrment and people are not the same. I alway loved russian people and russian world!!! I am just very very sad reading tarkovsky’s diaries. Surely there were and there are in Russia people that deserve all love from Tarkovsky.